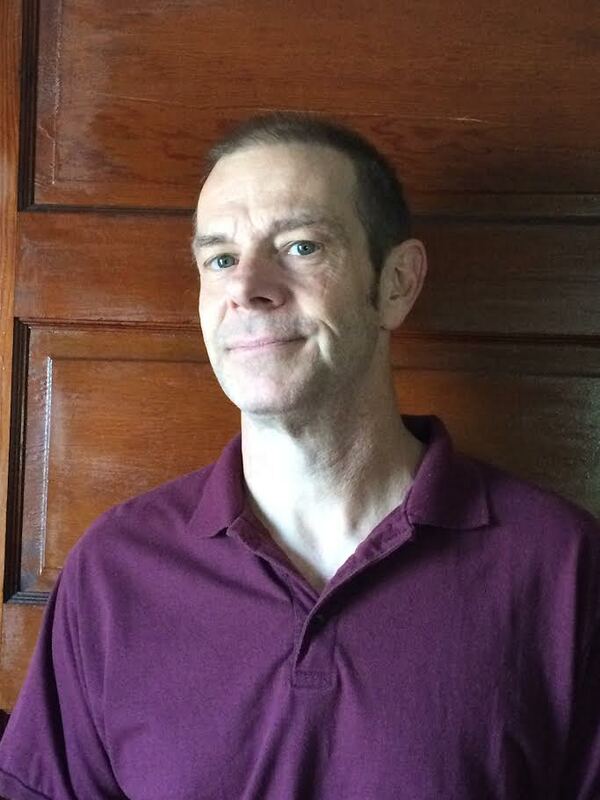 Jim Yackel is an author of "edgy" Christian-Fiction and a singer/songwriter/recording artist. 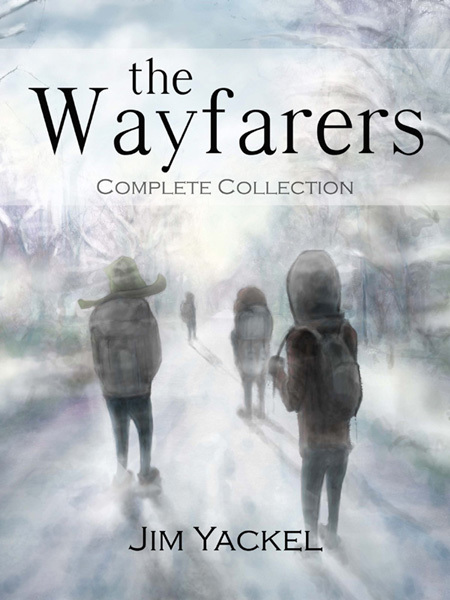 A revised edition of the three-part End of Days novel The Wayfarers was released in September of 2016. 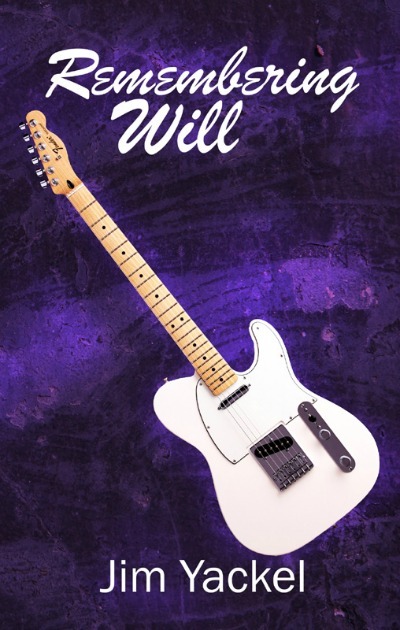 Remembering Will, released in May of 2015, is a departure from his usual subject matter. This touching and emotional tale centers around a musician who is dealing with loss and addiction, while battling persistent supernatural torment. Eyes Pried Open, released in October 2014, is the sequel to the End-Times suspense/thriller The Sleepwalkers released earlier that year. The intriguing Dead-Ringer, released in April of 2013, centers around an Elvis impersonator imparted with gifts of the Holy Spirit that might be considered unusual. A man who impersonates Elvis Presley for his living resides in the same small town that was the birthplace of The Wonderful Wizard of Oz author L. Frank Baum. We all know that flying monkeys were a part of the journey to the mythical Land of Oz, but could they also be demons straight from Hell? This Elvis impersonator thinks so, as he sees them in his dreams and visions and also in the tangible reality of the streets of the rustic village of Chittenango, New York. This man, named Jesse Same, has grown weary of the Elvis gig and desires to do something new with his music career. Likewise, he desires to have more time with his young son and that means wrestling him away from his manipulative and controlling ex-wife and her hard-driving new husband. They don't subscribe to Jesse's strong faith in Jesus and are troubled that the young son has developed his father's passionate love for the Lord. How far would the ex and her husband go to keep the young son from Jesse? Would the young boy put himself into great danger in order to be with his dad? As this man who is a dead-ringer for the King of Rock n Roll dreams prophetic dreams, the supernatural creeps through the cracks in the walls that separate it from the natural realm as those who are bound to this world may soon witness the end of the world as they know it. Will the man’s dreams and visions come to pass? Is there any hope for the individuals who appear in his dreams? He’s a bright, industrious, and creative man whose world is falling down around him as his very life has become imperiled. As he teeters on the precipice of total breakdown; an automobile’s mechanical failure forces this man without an address to begin a walk that was intended to take him to his place of lodging - but would he ever make it there? What colorful and potentially impactful individuals would he meet while on his unplanned walk? While life is tough for our friend; there are others who have it tougher. The suffering individuals that he meets along the way will bless him, enlighten him, and help to prepare him for an epic journey where he will be called upon to play a role of leadership to others as the Unites States of America is inflicted with severe trauma. The world has been flipped on its head as a distressed young woman is rapidly spinning toward rock-bottom and feels compelled to take a walk to try to clear her mind and relieve her burdens. Little does she know that she does not walk alone; but who or what is walking with her? Does it mean her harm or will it ultimately save her? What on earth drove her to come down to this desolate path? Where does this path lead? That same day, a spirit-led man is compelled to take a walk because there is a calling he must answer. There is no time to ask questions, and he too finds that he is not walking alone. Time is of the essence as the landscape and the world as a whole may be changing; albeit suddenly and not for the best. Are these individuals running from trouble, or are they running to a sanctuary that will bring them safety and security? Six months after America’s worst day – that being a wave of terror attacks on the east coast - the nation has fallen to its knees. The Christian Church has been raptured, or were the UFO’s in the sky an indicator of a massive alien abduction instead? The U.S. Dollar is on the verge of collapse as rioting and looting mar the streets of the country’s population centers and Martial Law is still in effect – but there are some new sheriffs in town and they are bent on taking over the traditional means of enforcement. Television and radio are being controlled and only one network is left to report the news of the world. It seems that even the weather forecasts are being massaged! A young man and his brother are being watched by the “new sheriffs” and he is led to head “out back” in an effort to stay on the “down-low.” But, how far out back or how far away will he and his brother have to go in an effort to stay safe? Will they end up going it alone, or will they meet others along the way to make whatever journey they take a safe one? Will a new man on the world scene have any influence on the events that transpire in the lives of the young man, his brother, or the world? What will it take to shake them awake? A diverse demographic and culture of sleepwalkers live a life of alcoholism, drug use, lotto, computer games, smartphones - and in many cases opulence and haughty self-anointing. But the single thread that ties these various demographic groups together is their ignorance to the collapsing economy and world around them. As the year 2013 winds down, there is a darkness that is sweeping America and the world, and these individuals are collectively blinded to it by self-medication and by The Powers That Be through the entertainment and mainstream news media. The darkness is as much supernatural as natural, and seemingly only a few watchmen can see it coming. 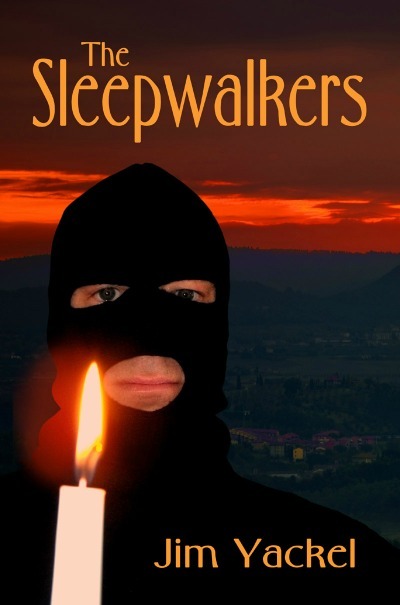 A Christian man named Jeff Seagraves toils in a busy convenience store serving those who choose to stay asleep, and while he is awake and aware those who slumber appear to enjoy a higher quality of life and a greater sense of freedom. As they wallow in the trappings of modern convenience and swallow the lies that the government and media feed them, Jeff suffers through anxiety, depression, fear and worry as he struggles to make ends meet. His faith is strong, but he is not free. 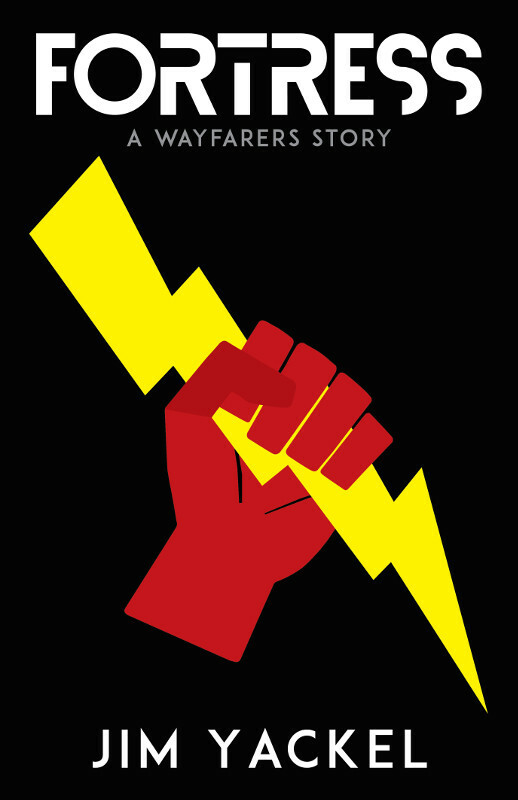 Could the roots of his failure and despair be as much supernatural as natural? Could much of his malady be linked to his past? Jeff relies on the alternative media and YouTube for his news as the mainstream does nothing but facilitate the spread of the darkness. Will he encounter someone online who has inside knowledge as to coming events that will change the world? Will there be an event that will shake the sleepwalking populace into consciousness? Will Jeff ever be delivered of his own darkness and used by God to be a source of light when seemingly all light has been extinguished? America was warned but most didn’t listen. Darkness has settled upon the majority of the contiguous fifty states during a brutally cold and snowy winter. Many have frozen or starved to death, or was it the strange flu that killed them? The military and government agencies have taken control with such rapidity that it seems they must have had prior knowledge that the event that brought darkness was coming. But is it the American government that’s truly in charge? Has a promised “transformation” finally been achieved? And when a transformation is considered, it it merely geopolitical or are there spiritual and religious elements involved? Cheryl Seagraves struggles in what could be referred to as the Modern Stone Age. Her husband Jeff donned a black ski mask on YouTube and offered a warning to the nation, and now he’s gone missing. Cheryl is left to care for a young girl that Jeff rescued after the child’s parents were killed by government forces intent on enforcing Martial Law. With her husband gone without a trace, will the strain of caring for the child while she endures the heartbreak of his absence be too much for Cheryl to bear? Will she fall into old vices as a means of coping? Will she be forced to question the faith in Christ that has been her rock and fortress? Eyes Pried Open picks up where The Sleepwalkers left off, and could be a hint of things to come for an America lulled to sleep in the cozy bed of modern convenience and freedom taken for granted in a world headed into the End Times. Fortress – a Wayfarers Story is an edgy and realistic fiction tale that depicts an America that is a far cry from that which your grandparents, or even your parents grew up in. God has been asked to leave the proverbial building, leaving the door open for enemies natural and supernatural to enter. As the nation stands on the verge of global and civil war and economic collapse, up is down, right is wrong, and a fog of deception has settled over the amber waves of grain. Lies are presented as truth, while those who would tell the truth are marginalized and persecuted. And could it be that those who disseminate the truth would have their very modes of conveyance taken away? If you’re a fan of the alternative media and a watcher of world events, Fortress is a fiction story that just might smack of truth.